Despite the snow at the weekend, it is almost May and there’s now only four months until Ride the North. As we nudge closer to the event, this update starts to deal with some of the event logistics. There will be a detailed event plan issued at the end of July, but each month should provide a little more information. We have three dates which will provide those in the NE of Scotland the opportunity to collect jerseys. We will, subject to the delivery of jerseys being received on schedule, but our plan is to be at GOT in Aberdeen on Tuesday 19 May, Stonehaven on Wednesday 20th and Elgin on Thursday 21st. I will send out more information about each of these later …probably at late notice, when I know for sure that I have the jerseys! 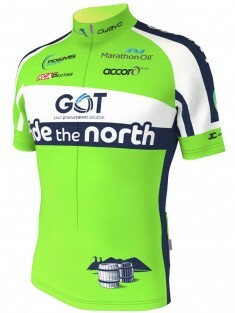 If you are unable to make it to one of our collection dates the jerseys will sent out to you June – please do ensure you have correct postal details entered into your account on the RTN website. Bike transfer from Aberdeen on Thursday 27th August will be based at Pittodrie Stadium. This is going to be subject to Aberdeen FC not winning 3 rounds of Europa League matches and being drawn away first in a fourth – otherwise 27 August will be a match day and we will have to implement Plan B …being a pessimistic Dons fan, I am not yet worrying about this eventuality! The deadline for booking of bike transfer is the end of May. This year, I suggest that if you wish to use a bike box (which is welcome) the box will be transferred straight back to Aberdeen and can be collected after event. Thanks to Aberdeen FC, TNT and ARR Craib for their assistance on this matter. It’s understood that there can be circumstances which will impact upon your plans and RTN places are transferable at no cost up until the end of June 2015. After this date the print items start to be printed and we cannot change the details. We are really disappointed when people have to withdraw from RTN. With jerseys now ordered, withdrawals from now until the end of June 2015 will be subject to a 75% refund – this is a little more generous than the terms and conditions stated – but the end of June will mark the confirmed participant numbers/names. Unfortunately withdrawals closer to the event (after 30 June) don’t reduce the event costs we are committed to pay and as a result we cannot make refunds after this date. You may wish to have your own insurance in place if this is a concern. We are a little way off releasing plans for 2016 (I am sure you are not too concerned about that just yet). However, we are looking at options for changing the event registration process …as this year was just was a little too chaotic and I will consider an alternative to a ‘First Past the Post’ on-line booking system which just has too many people sitting waiting for the booking to open. I plan to test opinion on the Facebook page sometime soon. 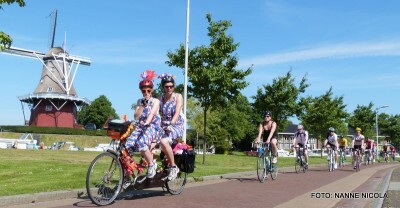 Unable to take part in the event like we did in the early years when RTN numbers were much smaller, this year Event Managers Neil & Robin have registered for Fietselfstedentocht on 25 May. The biggest mass participation ride in The Netherlands, the description of this event by a Dutch friend played just a little role in shaping RTN as a ‘challenge for all’ cycling event. 15,000 participants, 235 km, 11 towns/cities of Friesland and a total ascent of 156cm! It has taken three years to get a place and really looking forward to what should be a great occasion – let’s hope those windmills are not turning too fast! It will be a really useful learning experience to see an event of this size, which has been established for over 100 years. Let’s see if there are any imported Dutch influences on this year’s RTN – is Rhynie ready for a totally different kind of coffee shop? The RTN Facebook page becomes quite useful for sharing event information in the lead up to the RTN. However, I am also keen to use it to facilitate communication between users, allowing you to share your stories or to connect with others. If you are fundraising for a cause you are close to, or want to use the page to link up with others for training, I would be delighted to share. A new event for 2015, the Etape Royale will be a 102 mile closed road Sportive in September and will further develop the growth of North East Scotland as a cycling destination. It adds to You can find out more via the event website.